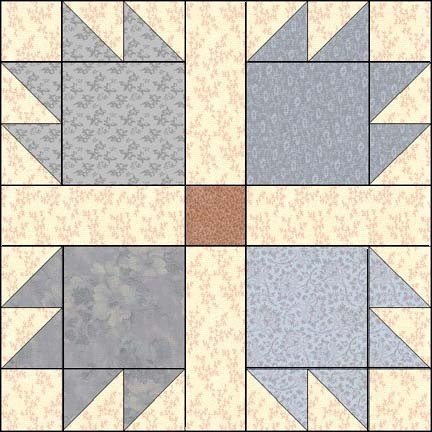 If your guild or group would like to use any of these block patterns, please email me. These patterns are pretty on line but take up a lot of paper and ink when printed. If you do change one to fit on fewer pages, you would be violating my copyright privileges. I will happily send you one in a printer friendly format via email. On that page will be my copyright statement giving you permission to use that block. I will ask in exchange for this is for you to consider making a small donation to the American Cancer Society through my Relay For Life web page or by PayPal . My patterns are helping find the cure for cancer. Some quilt shops and catalogs sell blocks of the month to sell fabric and patterns. 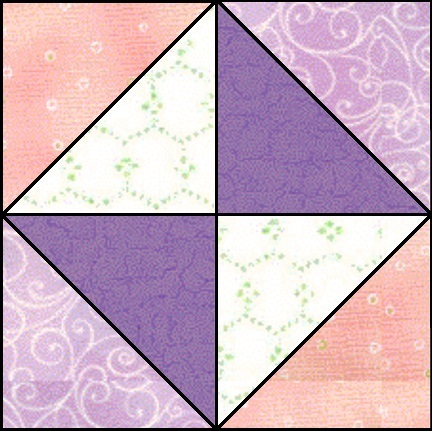 The purpose of my block of the month pages are to help you learn some of the basics of piecing. If you know the name of the block you are looking for, use "Ctrl F" (Control F) which will bring up a Find box. Simply type in the name of the block you are looking for. Don't know the name, then you will want to look at the different blocks on the Photo Index below. There you will find a mini version of each block, along with its name and the size of the pattern. measure it and make sure it is. If it's too large, trim it down evenly on all sides. If it's too small... start over again. The sizes listed below are unfinished. Here is a page full of patterns I am offering in exchange for donations to the American Cancer Society. Do you want to convert a pattern to a different size, but don't know how to do it? This page might help you. Please respect the copyright laws when visiting my site, or any other web site. To my knowledge, all of the blocks shown on the BOM page are of public domain. The diagrams and instructions are all my own making. You may print them for personal use only. If you want more copies, please ask permission first. Please do not copy my BOM or other patterns and sell them or use them for profit. Please do not copy my BOM or pattern instructions and sell them or use them for profit. Please do not copy the BOM or pattern diagrams and/or images from my web site and sell them or use them for profit. No diagrams, bitmaps, photographs, JPGS, JPEGS or GIFS may be copied from my web site without my permission. If you wish to link to any of my patterns using a photo link, please request permission to borrow that image first. Quilt guilds and/or clubs may request permission to print my BOMS for educational purposes only. I will provide a printer friendly version upon request. The printer friendly version will include a permission statement which must be included when printed. If you make a quilt using one of my patterns, what you do with it is completely up to you. I would request that you give me credit as the pattern designer on the label of the quilt and in any written show description if you should enter your quilt in a show. But what you do with your quilt is up to you. 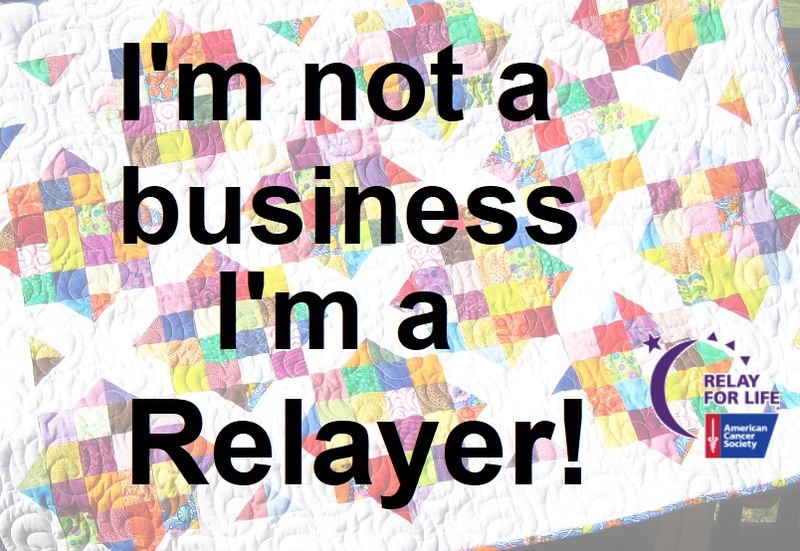 If you should profit from a quilt made using one of my BOMs or patterns, I would hope that you share some of the profit with my favorite charity, the American Cancer Society. Donations may be made by check made payable to the American Cancer Society and sent to me at 31357 Kendale Road Lewes, DE 19958. Any donation is greatly appreciated. 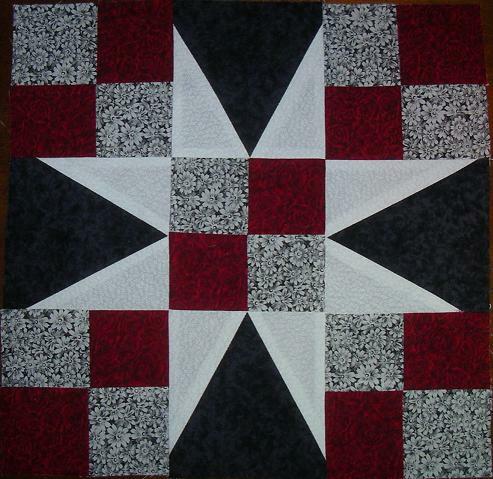 And of course, I would love seeing any quilts made using my BOMs or patterns. Send photos to quiltersretreat@hotmail.com or my address above. Thanks! If in doubt as to what you can do with my BOMs and patterns, please ask.